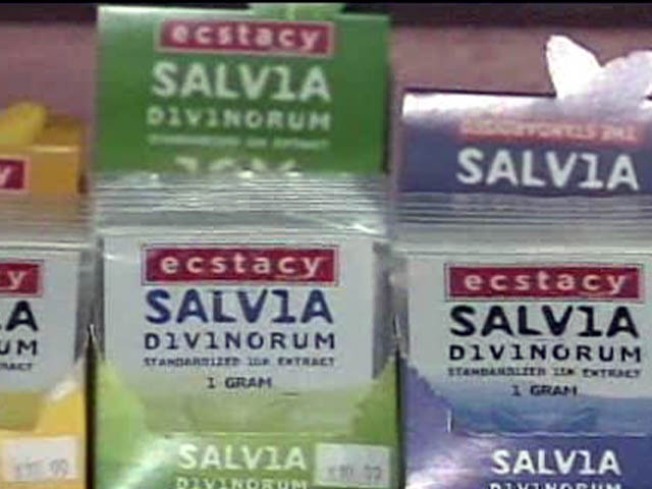 Every since the video of Miley Cyrus smoking out of a bong surfaced, the drug salvia has made headlines, and local lawmakers want to ban it in Connecticut. Right after the video came out showing Cyrus’ high antics and mistaking someone in the group for her boyfriend, people quickly pointed out that she wasn’t smoking marijuana, but the herb salvia, which is legal in California, the Huffington Post reports. And some people jumped on the newfound publicity. The Salvia Society, for instance, is marketing it as Miley’s “it” drug. “Buy salvia divinorum extract! Same one Miley Cyrus got,” the site says. Salvia is an herb in the mint family that causes hallucinations, according to the Drug Enforcement Agency and is controlled under the federal Controlled Substances Act. On Monday, State Senator Andrea Stillman, of Waterford, is calling for a new state law here to ban the sale of synthetic cannabis products and salvia. As of February 2010, 16 states had placed regulatory controls on salvia.